SRT Helicopters recently conducted advanced search-and-rescue training for helicopter pilots in China for the country’s Ministry of Transportation, above. SRT’s sister company, Specialized Response and Training, offers training in disaster preparedness and response and water rescue operations. Bakersfield, Calif.-based specialized response and flight training company SRT Helicopters (Booth No. 6808) is justifiably proud of its student practical examination record. According to company owner Christian Gadbois, SRT Helicopters boasts a 100-percent first-time pass rate for all students taking all levels of FAA practical flight exams over the eight years of the Part 61 flight school’s existence. SRT Helicopters’ exemplary pass record may be due in part to its owner’s experience and unique spin on helicopter training. A full-time contract EMS and fire department pilot with more than 30 years of aviation experience, including 20 years in U.S. Army aviation and Special Operations divisions, Gadbois transfers real-world experience to his students and hires instructors with the same kind of background so they can do the same. The result: whether they are teaching seasoned aviation professionals the finer points of technical rescue or a new pilot how to hover, the instructors ensure the students receive enough practical training to excel in real-world situations. One nonintuitive, but effective, example of providing real-world experience is SRT Helicopters’ philosophy of encouraging new private helicopter pilots to immediately earn a fixed-wing rating and perform all instrument training in the airplane before moving on to the advanced rotorcraft ratings. For a fixed-wing platform, SRT Helicopters keeps a Cessna 172 in its fleet, which also includes Schweizer 300 and a variety of Bell utility helicopters. Gadbois said most of his students opt for this unorthodox training regimen, especially when they learn about the cost-effectiveness (approximately $50,000 to $60,000 for a dual-rated CFII) and the higher marketability of being dual-rated. A current member of HAI’s Flight Training Committee, Gadbois said he prefers to train new helicopter pilots in the Schweizer 300 rather than the ubiquitous Robinson R22. He describes the Schweizer as a “very stable platform,” and said he sleeps better at night knowing that his students are flying Schweizers. In addition to primary flight training, Gadbois and his instructors offer training in disaster preparedness and response, technical rescue, water operations and tactical operations through SRT Helicopters’ sister company, Specialized Response and Training (SRT), also owned by Gadbois. On this technical training side, the SRT staff transfer their honed skills and decades of EMS, firefighting, rescue and Special Operations experience to other aviation professionals. SRT’s specialized training courses are generally conducted in the customers’ aircraft and in their own environment. 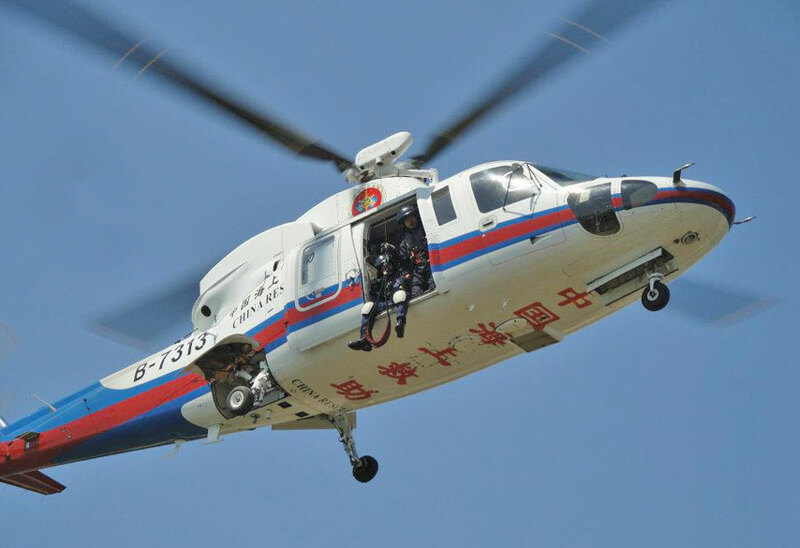 For example, SRT recently conducted advanced search-and-rescue training for 24 helicopter pilots in various regions of China for the country’s Ministry of Transportation.